The authors in this issue will challenge you to think outside of the box, to try new things, to open yourself up to the Spirit moving in amazing ways. The resources below have a similar flavor and will help you explore new and exciting ideas for ministry. 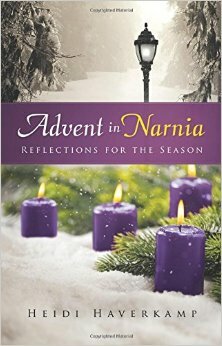 Advent in Narnia: Reflections for the Season, Heidi Haverkamp. WJK, 2015. “Walking into Advent can be like walking through the wardrobe.” With its enchanting themes of snow and cold, light and darkness, meals and gifts, temptation and sin, forgiveness and hope, C. S. Lewis’s The Lion, the Witch, and the Wardrobe fits naturally into the Advent season. As the reader seeks a storied king and anticipates the glorious coming of Christmas, these twenty-eight devotions alternate between Scripture and passages from the novel to prompt meditation on Advent themes. Each devotion includes questions for reflection. The book also provides several resources for churches, including four sessions for small group discussion and ideas for creating a “Narnia Night” for families. Readers will ultimately come to know God better while journeying through Narnia. 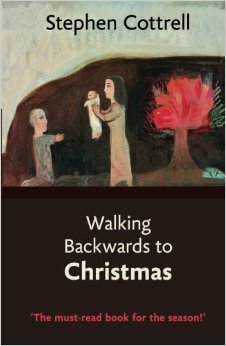 Walking Backwards to Christmas, Stephen Cottrell. WJK, 2015. Congregations are often confused or uninspired by the emphasis on Old Testament themes during Advent and too “over” Christmas by December 26 to pay much attention to the gospel stories that follow Jesus’ birth. Walking Backwards to Christmas starts at the end of the story, with Jesus’ presentation to Anna and Simeon at the temple, and moves backwards through Herod’s slaughter of the innocents, the wise men’s visit, Jesus’ birth in a stable, Mary’s pregnancy, and finally to the much-earlier hopes and dreams of Isaiah and Moses. Telling the Christmas story through the eyes of both famous figures like King Herod and imagined characters like the innkeeper’s wife, Stephen Cottrell invites readers to experience Jesus’ birth anew, with greater appreciation of the dark themes and ancient figures relevant to the Advent story. 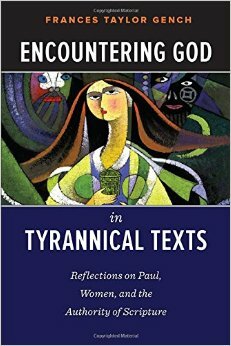 Encountering God in Tyrannical Texts: Reflections on Paul, Women, and the Authority of Scripture, Frances Taylor Gench. WJK, 2015. The Bible includes any number of “tyrannical texts” that have proved to be profoundly oppressive in the lives of many people. Among them are Pauline texts that have circumscribed the lives and ministries of women throughout Christian history. What are people who honor Scripture to do with such texts, and what does it mean to speak of biblical authority in their presence? Gench provides strategies for engaging such texts with integrity—that is, without dismissing them, whitewashing them, or acquiescing to them—and as potential sources of edification for the church. Gench also facilitates reflection on the nature and authority of Scripture. Jesus the Storyteller, Stephen I. Wright. WJK, 2015. While it is widely acknowledged that Jesus told stories, there has not been much focus on why he did so and how these stories contributed to his ministry. The author approaches this topic afresh to analyze how considering the parables as “stories” can help our understanding of Jesus and his mission. Wright begins by looking for insights in scholarship from recent decades on the parables and the historical Jesus. He goes on to imagine how these stories would have resonated with hearers in each of the Synoptic Gospels and considers the dynamics between Jesus and his hearers in different locations, like Galilee and Jerusalem. 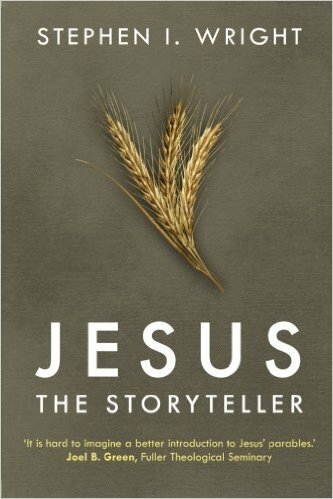 Finally, Wright considers the purpose of these parables as an element of Jesus’ ministry and looks at Jesus himself as a storyteller. This book will provide a solid basis for understanding why Jesus spoke in parables and how this distinctive storytelling style functioned in his ministry. 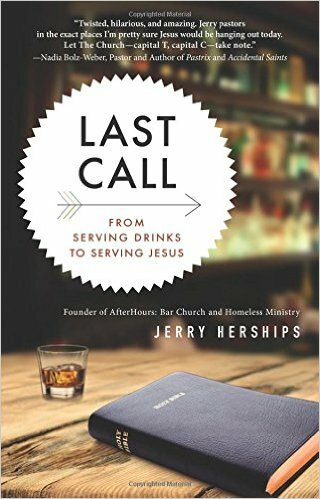 Last Call: From Serving Drinks to Serving Jesus, Jerry Herships. WJK, 2015. “I had a vision of a faith community where people could have a wider understanding of God and our relationship to him/her. I wanted to create a place where people could state what they believe and what they struggle with—freely. I wanted a community of people who know we don’t all have to agree on everything.” Jerry Herships, former altar boy who had dreamed of making it big in show biz, tended bar to make ends meet as he worked gigs in comedy and game shows, looking for his big break. After giving up the dream and leaving Los Angeles, he found his way back to the church and discovered God calling him to ministry—but not just any ministry. Now he leads AfterHours Denver, a bar church where people worship with a whiskey in their hand and make peanut butter and jelly sandwiches to serve Denver’s homeless. Last Call is a story of having and giving up on dreams, finding yourself, and finding how God can use you in unexpected ways. 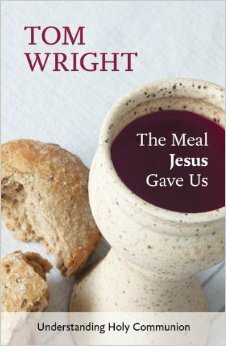 The Meal Jesus Gave Us: Understanding Holy Communion, N. T. Wright. WJK, revised 2015. In this introductory volume, perfect for new member and confirmation classes, acclaimed theologian and writer N. T. Wright explains in clear and vivid style the background of the Last Supper, the ways in which Christians have interpreted this event over the centuries, and what it all means for us today. This revised version includes questions for discussion or reflection after each chapter. 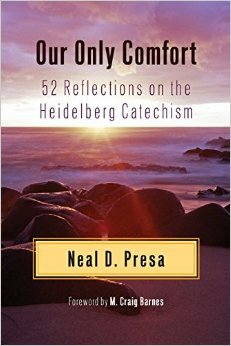 Our Only Comfort: 52 Reflections on the Heidelberg Catechism, Neal D. Presa. WJK, 2015. This book is a collection of fifty-two devotions based on the Heidelberg Catechism, one of the foundational documents of the Presbyterian Church (U.S.A.). Former PC(USA) moderator Neal D. Presa begins each devotion with a few of the questions from the catechism, along with their Scripture references, and follows with a brief meditation on those questions. Presa’s reflections tie the catechism questions to daily life in contemporary America, helping readers find meaning and relevance for their own lives. Our Only Comfort is a helpful resource for those interested in learning more about their Reformed heritage and how they can apply it to their daily lives. 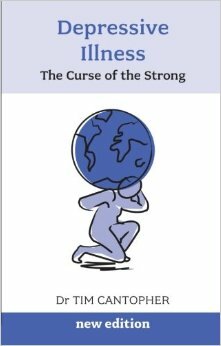 Overcoming Depression: The Curse of the Strong, Tim Cantopher, MD. WJK, 2015. Dr. Cantopher provides a comprehensive, accessible overview of depression, a condition that affects over 15.5 million people in the United States. This book guides the reader through the nature of depression, its history, symptoms, causes, and treatments, as well as myths about it along the way. Warm and supportive, this new edition (which also includes the latest on medications) stresses that sufferers should not blame themselves and that they can take hope from the fact that there is meaning in their illness and that getting better is a real option. Generously supplied with illuminating anecdotes and insights, this book has specific advice about what to do if you are currently unwell, as well as valuable information for caregivers, medical professionals, or anyone interested in this destructive illness, on course to become the second biggest health burden in the world after heart disease. 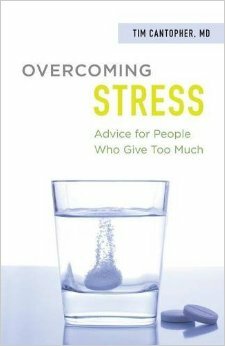 Overcoming Stress: Advice for People Who Give Too Much, Tim Cantopher, MD. WJK, 2015. 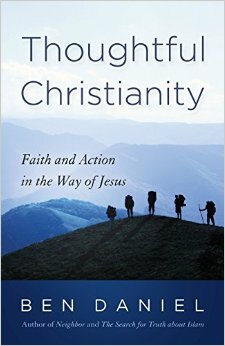 Thoughtful Christianity: Faith and Action in the Way of Jesus, Ben Daniel. WJK, 2015. Thoughtful Christianity provides a guide to Christian faith that honors tradition while embracing modern thought and valuing critical reflection. Daniel examines the extreme polarization of Christianity in the last century and argues that American Christians are in need of an awakening of the mind. He suggests a way of life that includes commitment to education, placing a high value on curiosity, and instruction from “those with the courage to be corrected.” Divided into three parts, the book explores how science can inform faith, identifies the marks of a thoughtful life, and makes suggestions for living a thoughtful life. 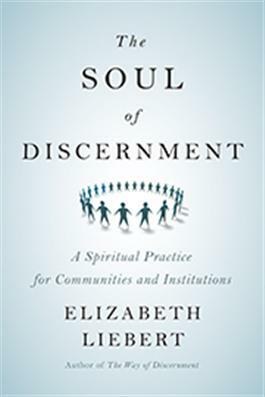 The Soul of Discernment: A Spiritual Practice for Communities and Institutions, Elizabeth Liebert. WJK, 2015. 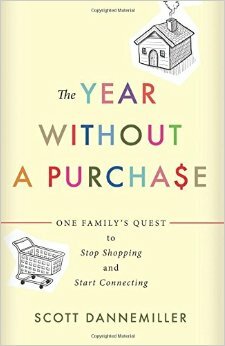 The Year without a Purchase: One Family’s Quest to Stop Shopping and Start Connecting, Scott Dannemiller. WJK, 2015. The Year without a Purchase is the story of one family’s quest to stop shopping and start connecting. Scott Dannemiller and his wife, Gabby, are former missionaries who served in Guatemala. Ten years removed from their vow of simple living, they found themselves on a never-ending treadmill of consumption where each purchase created a desire for more and never led to true satisfaction. The difference between needs and wants had grown very fuzzy, and making that distinction clear again would require drastic action: no nonessential purchases for a whole year. No clothes, no books, no new toys for the kids. If they couldn’t eat it or use it up within a year (toilet paper and shampoo, for example), they wouldn’t buy it. Filled with humorous wit, curious statistics, and poignant conclusions, the book examines modern America’s spending habits and chronicles the highs and lows of dropping out of our consumer culture. As the family bypasses the checkout line to wrestle with the challenges of gift giving, child rearing, and keeping up with the Joneses, they discover important truths about human nature and the secret to finding true joy. The Year without a Purchase offers valuable food for thought for anyone who has ever wanted to reduce stress by shopping less and living more. Sabbath in the Suburbs, Mary Ann McKibben-Dana. Chalice, 2012. “Life felt like a 500-piece jigsaw puzzle with 600 pieces.” So writes MaryAnn McKibben Dana in the introduction of her book. As she considered her family’s frenetic suburban existence—a relentless list of work, errands, carpool, dishes, email, bills, yardwork—she knew something had to change. The family faced a choice: to continue at the same frantic pace or to fight back with a radically different way of being. They went radical. For one year, they committed to a practice of Sabbath-keeping. For a whole day each week, they set aside their doing in order to simply be. Work took a backseat to games, walks, Legos, naps, homebrewing, and leisurely contentment. The practice never got easier—the house was a mess, the kids still fought—but Sabbath became the one essential “to-do” each week. 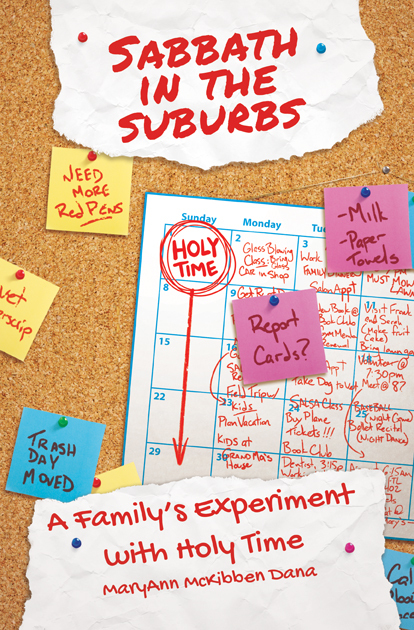 With lively prose, Dana documents the Sabbath experiment as a guide for families of all shapes and sizes. Each chapter includes tips to help you claim Sabbath moments—to see time not as an enemy to subdue, but as a friend to savor. The Blue Room, Mary Ann McKibben-Dana. http://theblueroom.org . Follow Mary Ann McKibben-Dana at her blog site. Follow Theresa Cho at her blog site. Follow Kimberly Knight at the Day 1 blog site. She also blogs on Patheros.com. 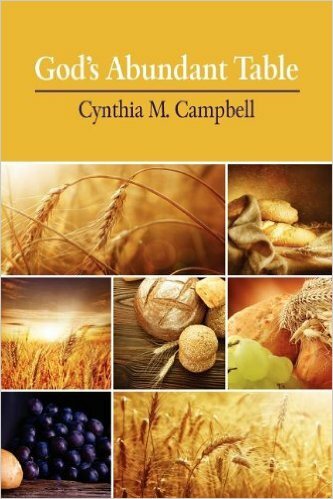 God’s Abundant Table, Cynthia M. Campbell. The Thoughtful Christian, 2011. Whether used for personal reflection or congregational study, this collection of forty daily devotional readings and a five-session study guide will invite you to discover the many connections in the Bible between what we do in the Lord’s Supper, what it means to be in relationship with God, and how God would have us live every day. 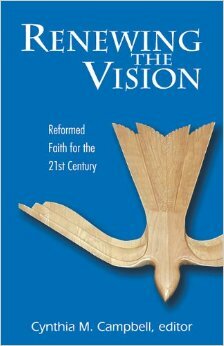 Renewing the Vision: Reformed Faith for the 21st Century, Cynthia M. Campbell. Geneva, 2000. These essays and sermons are by twenty well-known Presbyterian scholars, pastors, and church leaders who seek to shape a vision for the theological center of the Presbyterian Church (U.S.A.). The book is organized around five themes: Christology and preaching, the church and evangelism, mission and service, the authority and interpretation of Scripture, and ecumenism and the Reformed tradition. Each section includes two essays and two sermons. 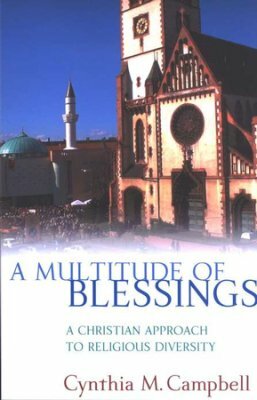 A Multitude of Blessings: A Christian Approach to Religious Diversity, Cynthia M. Campbell. WJK, 2006. This classic book explores the ancient but timely issue of religious diversity, drawing on both biblical and theological sources. Analyzing Old Testament texts, the author provides a close reading of several key passages that express God’s steadfast love for humankind and show that diversity is part of God’s overall plan for human culture. In the New Testament, Campbell turns to several influential texts and familiar passages to which Christians have often pointed as proof of the exclusive truth or superiority of Christianity over other religious traditions. By putting these texts in their respective contexts and by examining the roles of religious “others” in the New Testament, Campbell demonstrates that God’s grace extends far beyond a chosen people and that knowledge of God is not limited to Christian believers. Campbell ultimately affirms that religious diversity is part of God’s providential care for humankind. Therefore, she urges Christians to be modest in their claims to truth, to be open to interfaith dialogue, and to work with others for justice and peace. A free study guide is available. 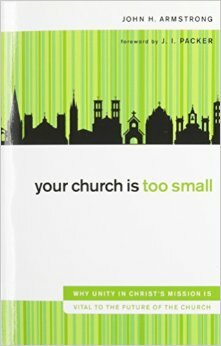 Your Church is too Small: Why Unity in Christ’s Mission is Vital to the Future of the Church, John H. Armstrong. Zondervan, 2009. The author is not referring to the size of a congregation or building but rather to the way we too often place limits on Christ’s church so that it contain only our own narrow views. The reader is encouraged by example to understand his/her own spiritual identity and to better understand the mission of the church. Reflecting personally, theologically, and historically the author focuses on Jesus’ prayer in John 17, arguing that it calls for a relational unity not merely a spiritual one. Being a Good Guest Presenter’s Host, Israel Galindo. http://Columbiaconnections.org, July 20, 2015. As educators we are frequently in the role of host/hostess for guest speakers. This article from Columbia Connections,written by one who is often a guest speaker, gives excellent advice about how to star as the host. 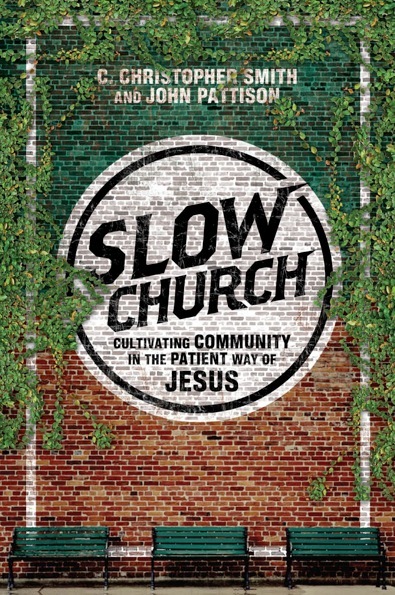 Slow Church: Cultivating Community in the Patient Way of Jesus. Christopher Smith & John Pattison. IVP, 2014. Fast food. Fast cars. Fast and furious. Fast forward. Fast. . . church? The church is often idealized as the last bastion of a bygone era, dragging our feet as we’re pulled into new moralities and new spiritualities. We guard our doctrine and our piety with great vigilance. But we often fail to notice how quickly we’re capitulating, in the structures and practices of our churches, to a culture of unreflective speed, dehumanizing efficiency, and disintegrating isolationism. In the beginning, the church ate together, traveled together, and shared in all facets of life. Centered as they were on Jesus, these seemingly mundane activities took on their own significance in the mission of God. In this book the authors invite us to leave franchise faith behind and enter into the ecology, economy ,and ethics of the kingdom of God, where people know each other well and love one another as Christ loved the church. 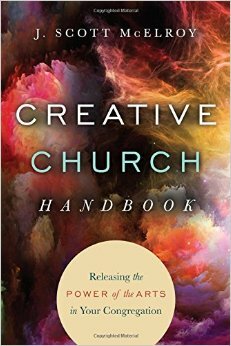 Creative Church Handbook: Releasing the Power of the Arts in Your Congregation, Scott McElroy, IVP, 2015. If the future is creative, is it any wonder that sometimes the church seems stuck in the past? Now is the time for the church to reclaim its role as a center of creativity. Among your members are artists, musicians, and other creative people whose gifts can enhance your worship, inform your theology, and impact your community. Christian arts advocate J. Scott McElroy gives a comprehensive vision and manual for unleashing creativity in your congregation so you can connect with the more visual, aural, participatory, and expressive generation that is rising up within the church today. 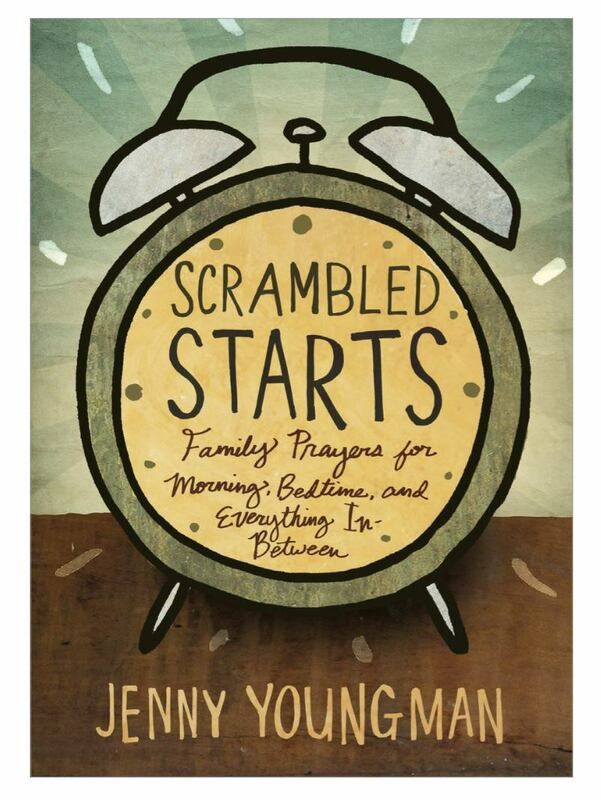 Scrambled Starts: Family Prayers for Morning, Bedtime, and Everything In-Between, Jenny Youngman. Upper Room, 2015. This book is an honest sharing of the author’s family journey as she tried to build prayer into their daily lives. This encouraging book for parents and families includes prayers for mealtime and bedtime, prayers for specific occasions and ordinary times, prayers for all ages, Scriptures to memorize, and help for starting a family devotion time. 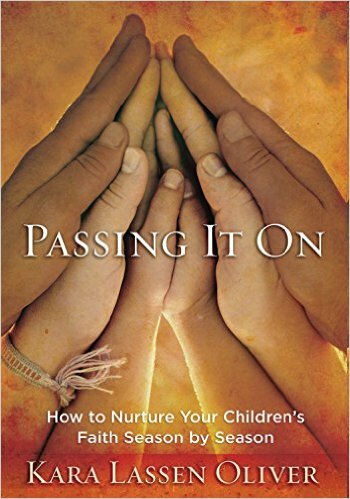 Passing It On: How to Nurture Your Children’s Faith Season by Season, Kara Oliver. Upper Room, 2015. This new release provides a practical guide to help parents, grandparents, and other concerned adults nurture their children’s faith. In four-week segments the author offers easy-to-follow suggestions for families during the seasons of Advent, Lent, summer, and back to school. Included are plans for weekly family times with age-appropriate activities, symbols for each week’s spiritual emphasis, a suggested daily practice and prayer for each week, along with a leader’s guide for parent groups who might study the book together.